Autumn always arrives so fast! Teachers have barely finished with their back-to-school activities, and there it is – a great season for celebrating and having fun (if you have the time)! Of course, teachers know how to make time by incorporating fun holiday or seasonal activities with the fundamental skills that they need to work on every day. 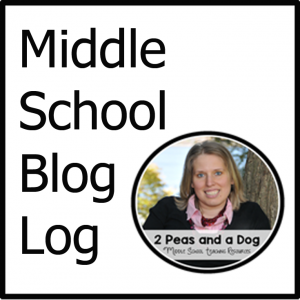 To make it maybe just a little bit easier, I’ve collected five posts about fall activities just for language arts teachers in middle school and upper elementary grades. 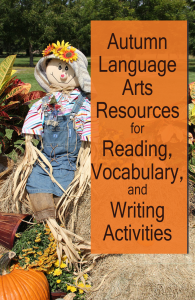 Below you’ll find a vocabulary list with seasonal activities, scary reads for Halloween, descriptions of autumn reading and vocabulary resources, teaching ideas, thanksgiving activities, and links to TWO autumn FREEBIES. 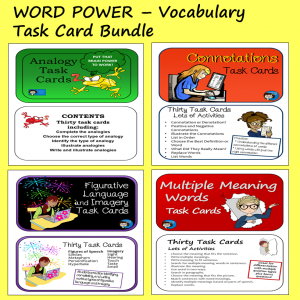 This post includes a long list of autumn vocabulary words along with ideas for fun classroom games and activities using those words. 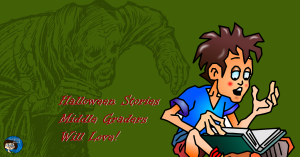 This post is about some of the great, kid-friendly, scary stories in Half-Minute Horrors, a collection of really short stories by renowned authors including Lemony Snicket, Jerry Spinelli, James Patterson, and many others. 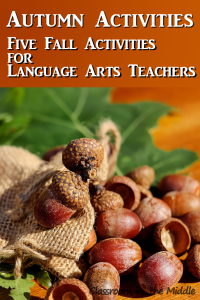 This one describes each of the language arts resources with an autumn theme from my Teachers Pay Teachers store, including a free resource, Autumn Sampler which you can download now. This guest post that I wrote for the blog What I Have Learned is all about activities that have an autumn theme but also meet objectives that language arts and reading teachers are required to teach. 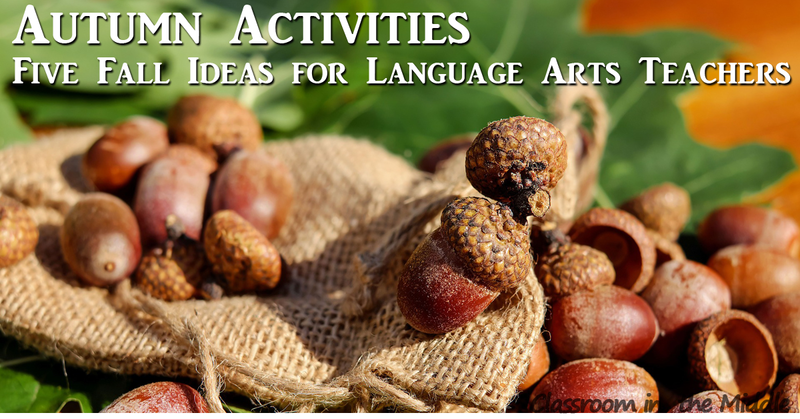 This post which I wrote for the TiePlay Educational Blog, includes language arts activities each based on one of the 5Ws for Thanksgiving. 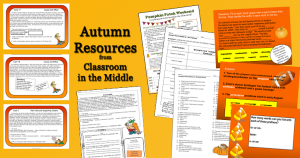 It also includes a link to a free Thanksgiving printable, the Five Ws of Thanksgiving. 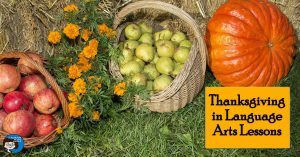 Hope you are all finding a little time in your busy teaching schedule to enjoy this beautiful fall season! I love fall activities! I find this time of the year so fun and exciting. Thank you for all the ideas! 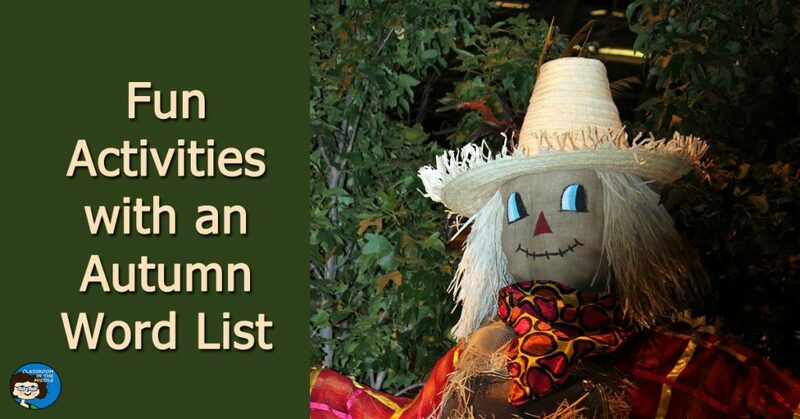 What a great collection of Autumn ideas. Thank you so much for sharing. 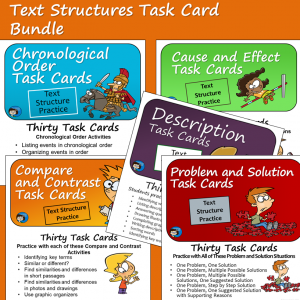 It’s always helpful to get more ideas for reading lists at this time of year!